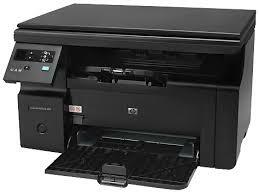 This firmware update utility is for the HP LaserJet M1130 series printer only. The firmware version can be found on the Self Test / Configuration page. The configuration page can be printed by pressing the go button. hi, I have a printer laserjet mfp 1132 and hp pavilion os win10. is it any chance to have a driver so I can use my printer. thank you.